After a break following the NFL Draft, Draft Expert Nick, Vito, and Dirty Dietz are back for a special NHL draft podcast. We talk about some potential trades that could affect the draft, Nick’s Mock, and Vito’s love affair with goalies. We also draft our own teams using only first overall picks. Note that some of the info is out of date, i.e. no mention of the Galchenyk or Hoffman trades, because we are releasing this about a week and a half after recording. Please share the podcast and site if you like what we do. Be sure to subscribe, rate, and review on itunes as well! 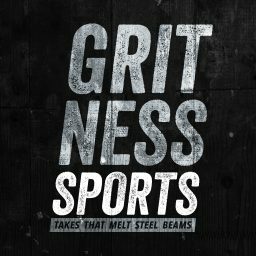 Hit us up on Twitter: @GritnessSports, @Nickchowz, @w_doster, and @DirtyDietz20.